Monday, April 29, 10:00 a.m. - 12:30 p.m.
Art and Design. Ages 5-12. In the 1950s, Americans started viewing their backyards in a new way, seeing them more as an extension of their home - a place for relaxing, cooking, entertaining, and play. 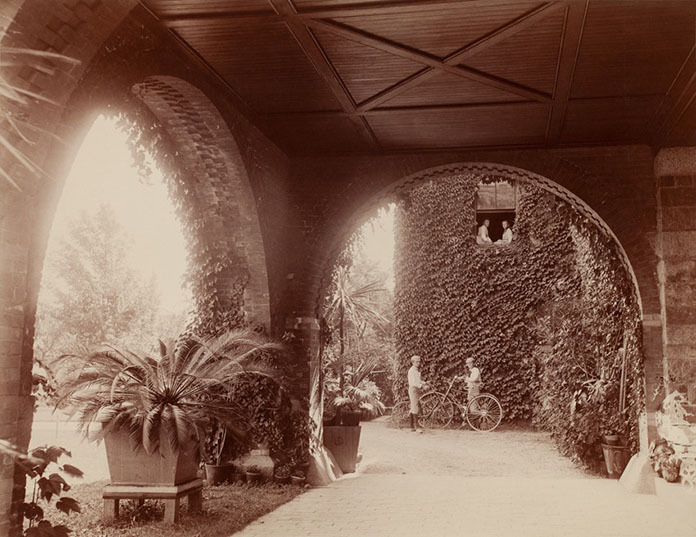 Visit the Eustis Estate and take a landscape tour of the property to see how the Eustis family used their land in a variety of ways. In the galleries, participants explore the exhibition, Patios, Pools, & the Invention of the American Backyard. Taking inspiration from the photographs, advertisements, gardens, and landscape designs in the exhibition, participants design and create their own dream backyard plans. Patios, Pools, & the Invention of the American Backyard is presented by the Smithsonian Institution Traveling Exhibition Service and the Smithsonian Gardens’ Archive of American Gardens.